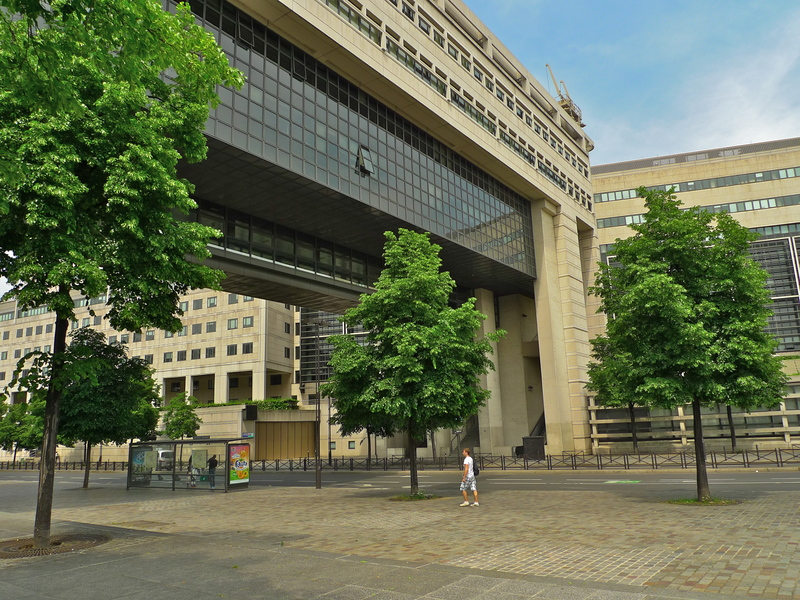 I HAD OCCASION TO visit the French Ministry of Finance last week, the Ministère de l’Economie et des Finances. 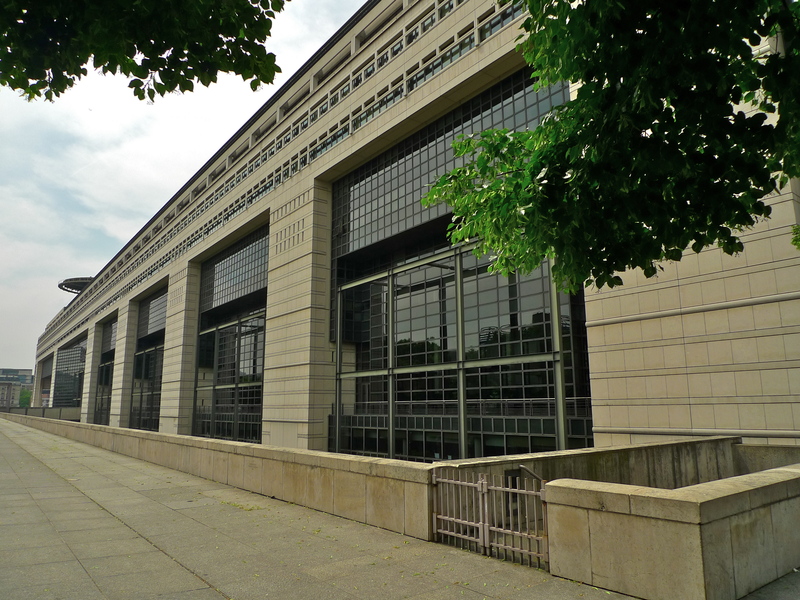 The Ministry building is in the Boulevard de Bercy and, along with the Louvre Pyramid, the Musee d’Orsay, Parc de la Villette, Institut du Monde Arabe, Opéra Bastille, Grande Arche de La Défense, and the Bibliothèque Nationale de France, it’s one of François Mitterand’s Grand Projets, officially known as the Grandes Operations d’Architecture et d’Urbanisme. Designed by Paul Chemetov and built in 1988, the building is T-shaped, it’s seventy metres in length and, because of height restrictions at the time it was built, it rises to only six levels. The building comprises 225,000 square metres of office space that span the rue de Bercy and stretch as far as La Seine. And it boasts it’s own helipad and a private jetty where the building adjoins the river. 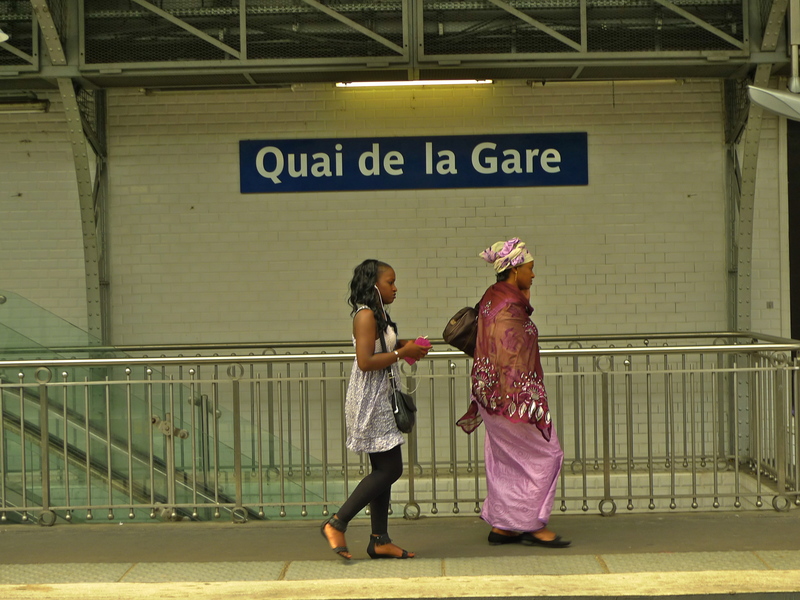 When I went to the Ministère de l’Economie et des Finances I went on Métro Line 1 to the Gare de Lyon and then walked along rue de Bercy. 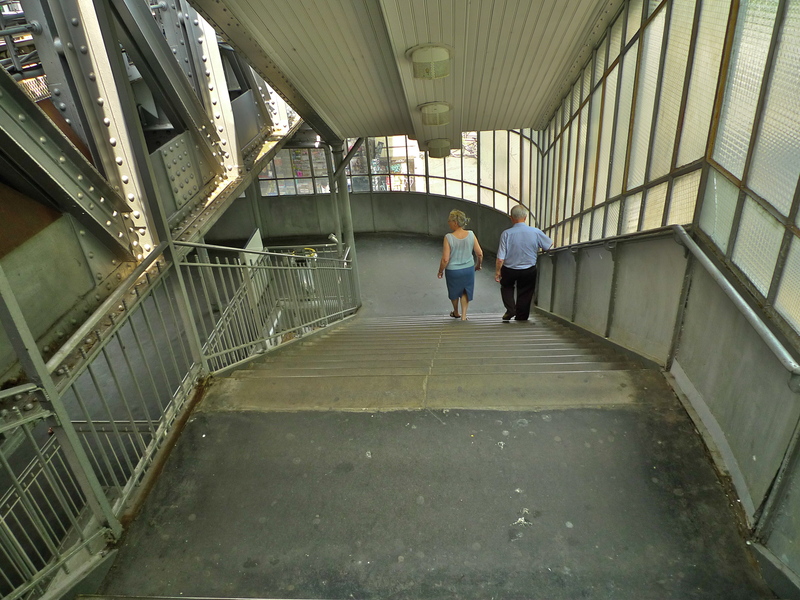 On the way back, I took a different route and walked along the full length of the Ministry building to the Seine, then across the Pont de Bercy to the Quai de la Gare Métro station on Line 6. 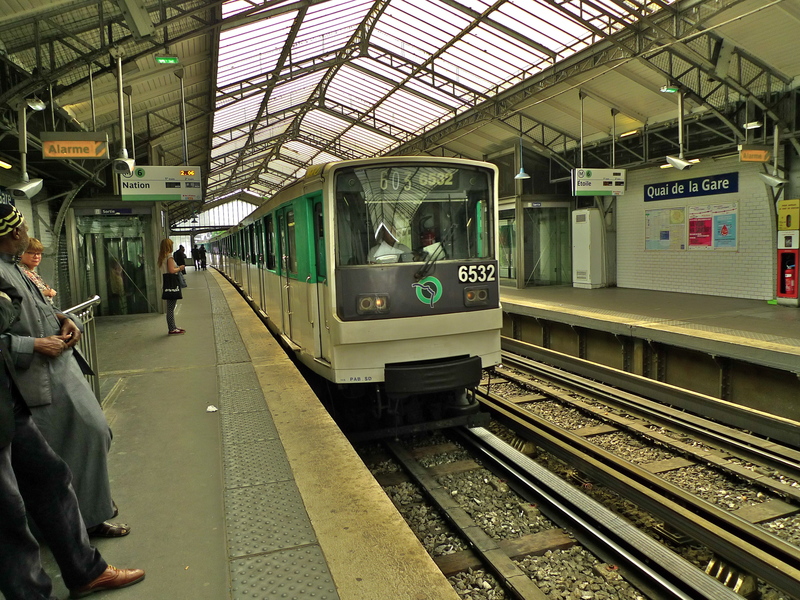 Of all the lines on the Paris Métro, Line 6 is the one I enjoy most. 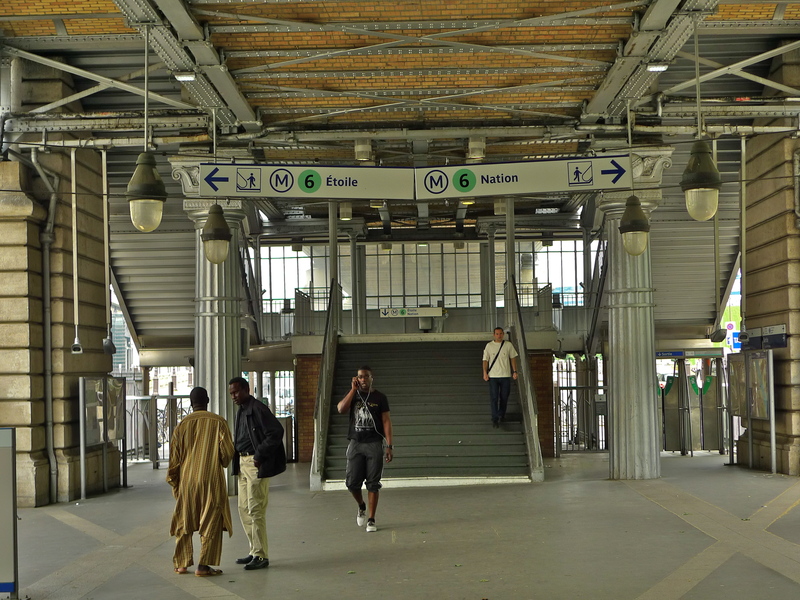 It runs for 13.6 km (8.5 miles) along a semi-circular route around the southern half of the city between the stations Charles de Gaulle – Étoile in the west and Nation in the east. For 6.1 km (3.8 miles) of the route the trains run above ground from where it’s possible to get a different, and sometimes spectacular, view of the city. 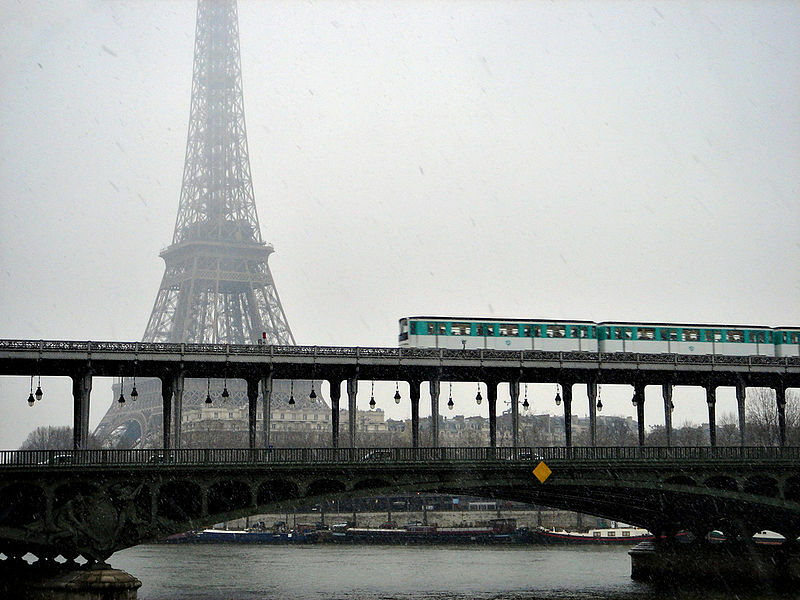 The view of the Tour Eiffel as the trains cross the Pont de Bir-Hakeim has to be one of the most spectacular sights on any Métro line in the world. 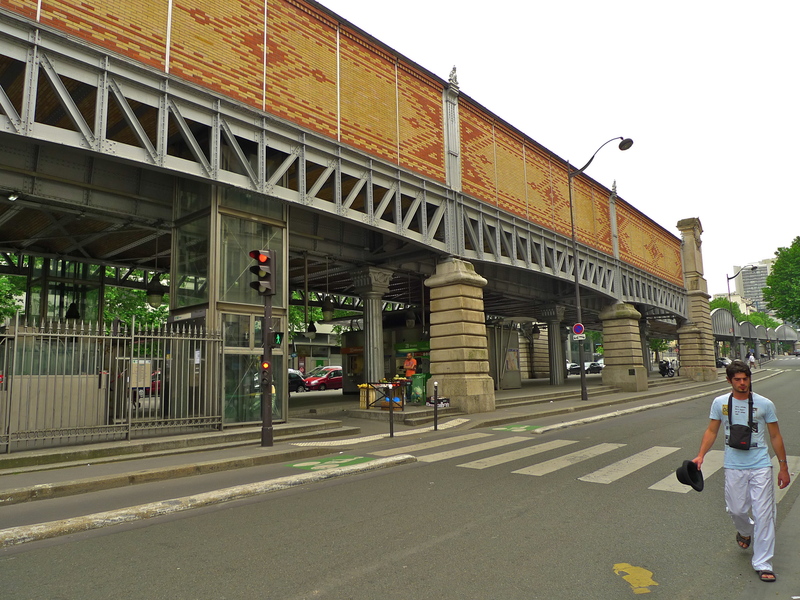 Quai de la Gare station is at the intersection of the Quai de la Gare and the Boulevard Vincent Auriol in the 13th arrondissement. 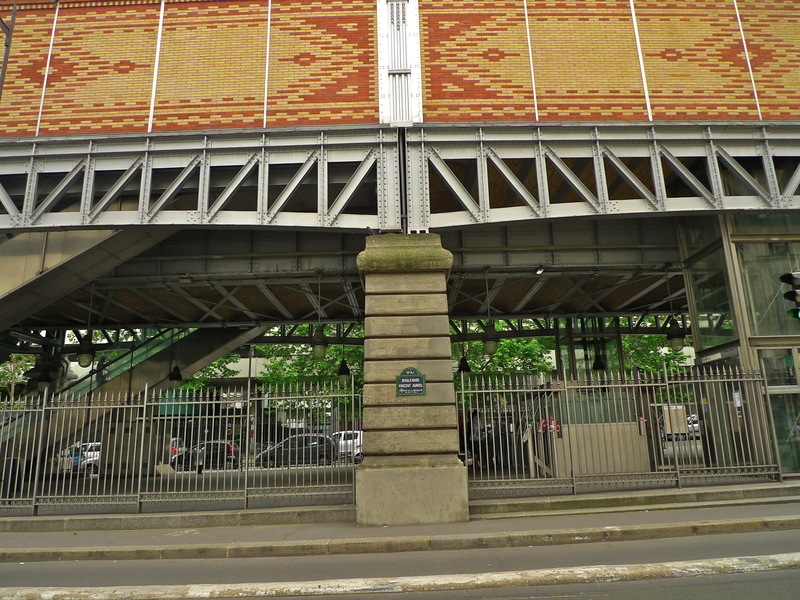 It opened on 1st March 1909 and it takes its name from the Quai de la Gare, a wharf on the Left Bank of the Seine in the second half of the eighteenth-century that served the nearby Pitié-Salpêtrière Hospital. 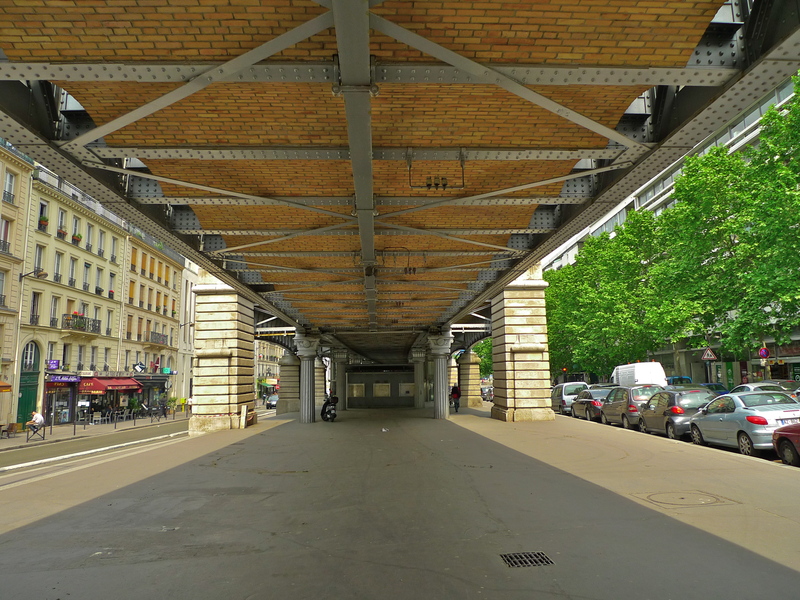 When the wharf was constructed the area was part of the village of Ivry, which consisted of two main neighbourhoods, one of which was called Quartier de La Gare. 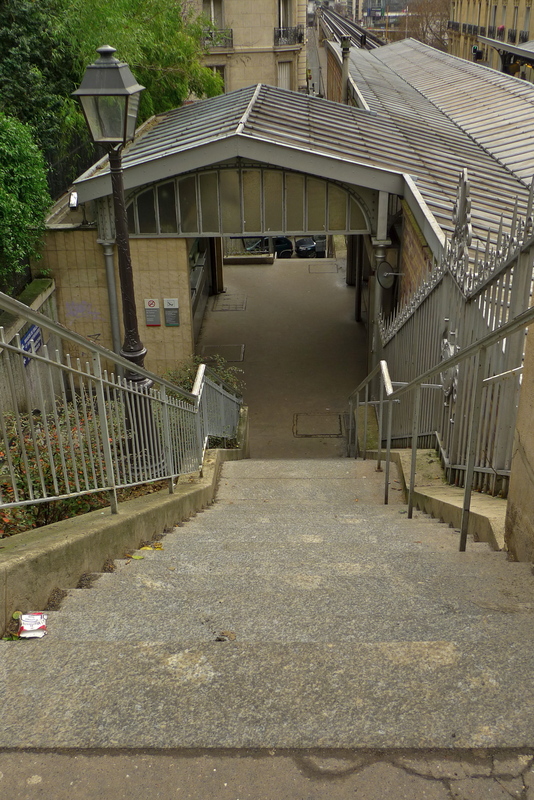 Near to the station, and also taking its name from the Quartier de La Gare, was the Barrière de la Gare, a gate built for the collection of taxation as part of the mur des Fermiers généraux, the Wall of the Farmers-General. The gate was built between 1784 and 1788 and demolished in 1819. 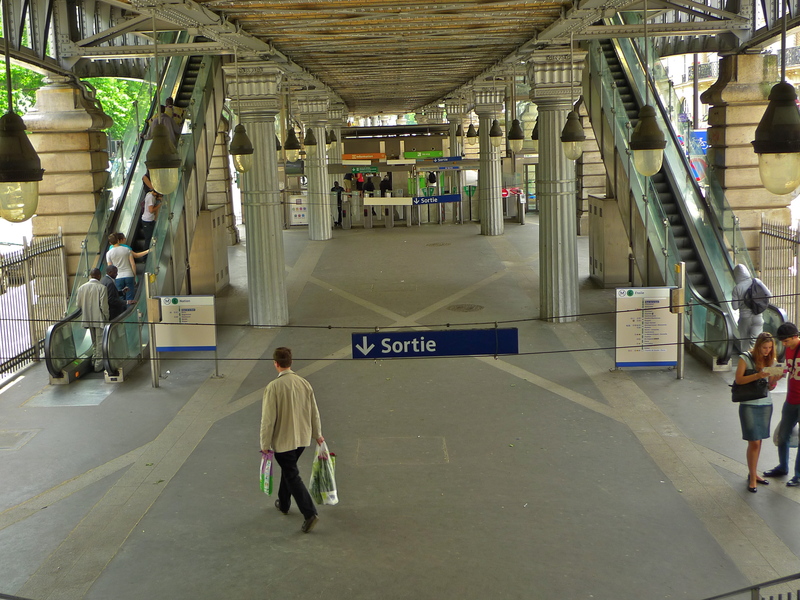 With its entrance at street level, the platforms of Quai de la Gare sit above the Boulevard Vincent Auriol and they’re accessed by very narrow escalators to the left and right. 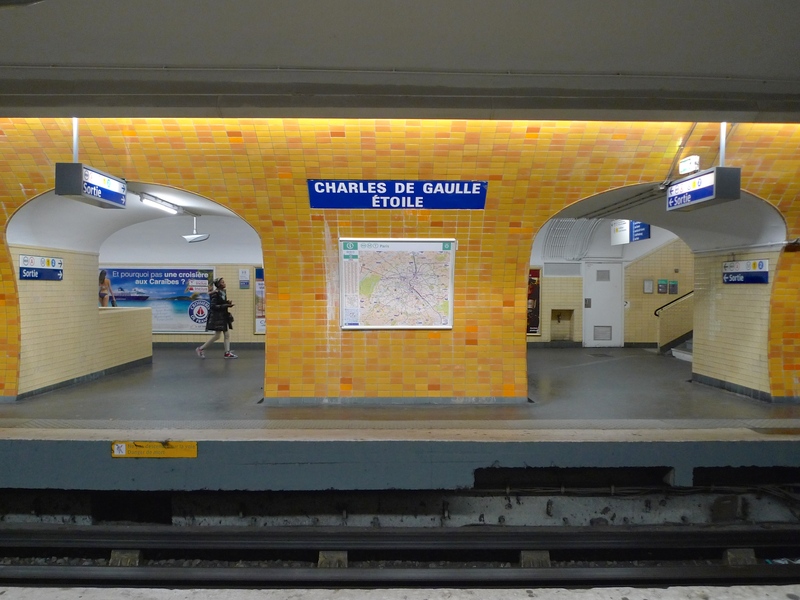 I find the sounds of Métro stations fascinating, partly for the sound of the trains but also for the sound of the spaces in between the trains coming and going. In 1971 the trains on Line 6 were converted to use rubber tyres. This of course makes the sound of the trains less dramatic than the sound of the metal-wheeled trains, but that’s exactly the point. 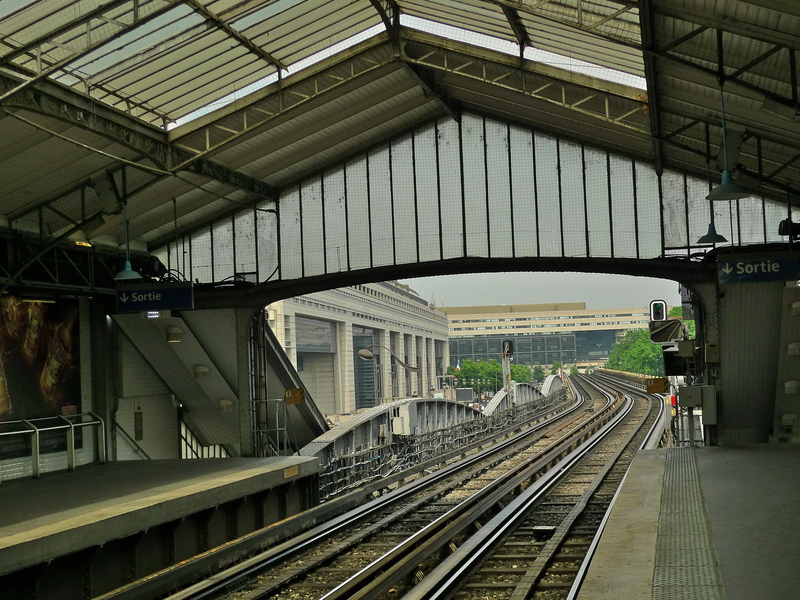 The conversion to rubber tyres was made to reduce the noise and vibration not only to passengers but also residents near the elevated portions of the line. 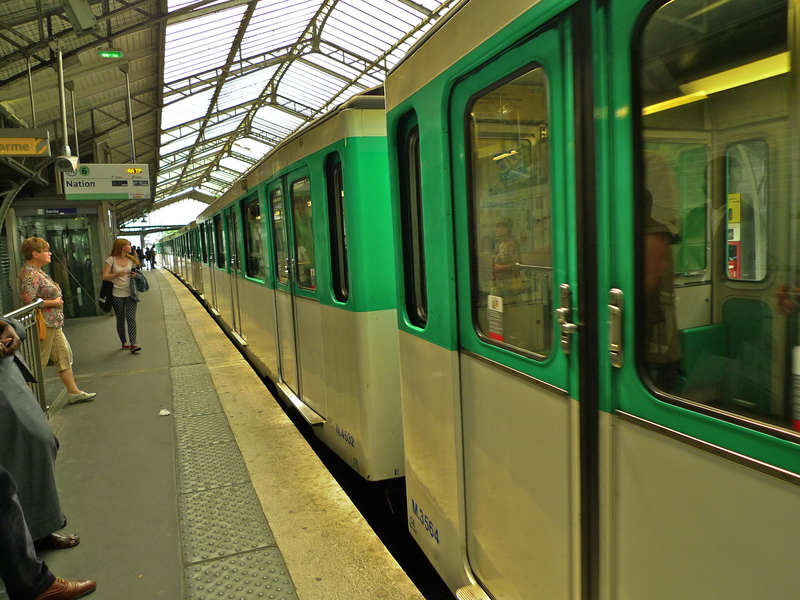 The swish of the trains entering and leaving the Quai de la Gare and the clatter of their doors opening and closing sit in contrast to the quieter, but equally interesting, sounds in between. Sitting on the platforms of stations like this waiting for a train it’s easy to miss the depth and texture of these sounds. For me, it’s often only when I listen to recordings of these sounds away from the station and out of context that they actually come alive. Every time I listen I hear something different. I hope you do too. 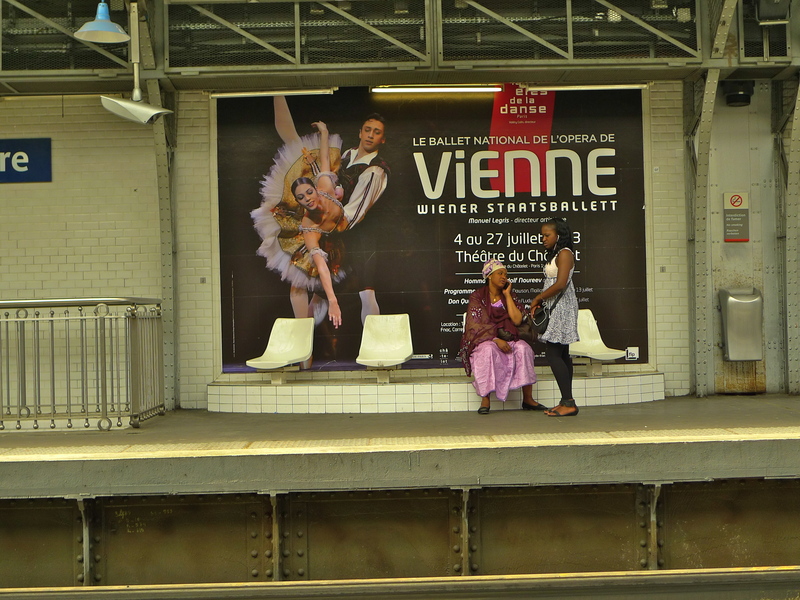 THE PARIS METRO HAS an endless fascination for me. 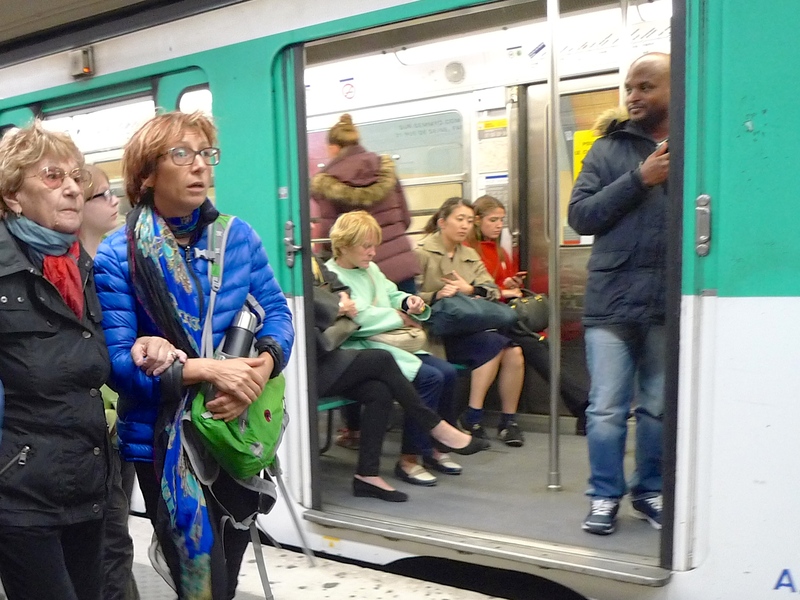 It makes up part of the superb public transport system that threads its way into the remotest corners of this city – but more than that, most of the Paris Metro system has character. 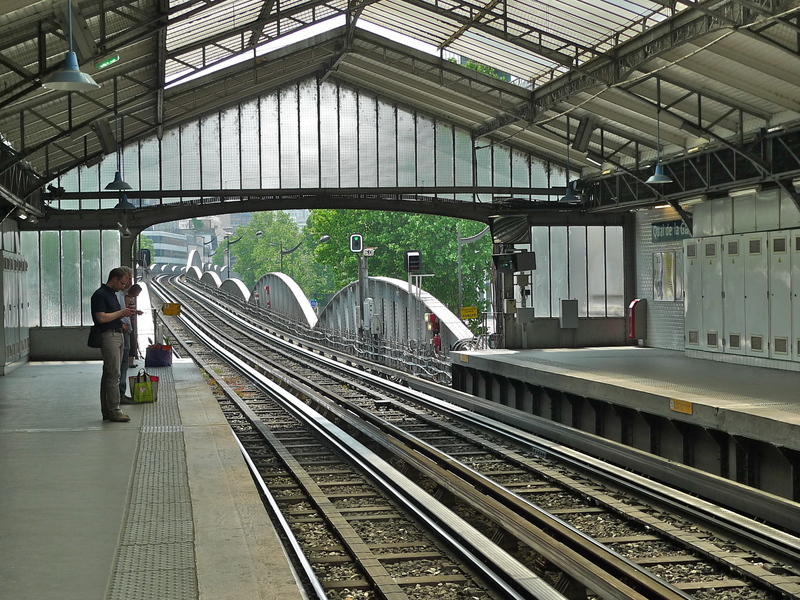 Take the Metro station Passy in the XVI arrondissement that I visited on Saturday.